Make art with us on the PlayHouse porch! Reenie Charriere, a San Francisco-based artists, will spend two weeks creating a temporary, suspended sculpture. 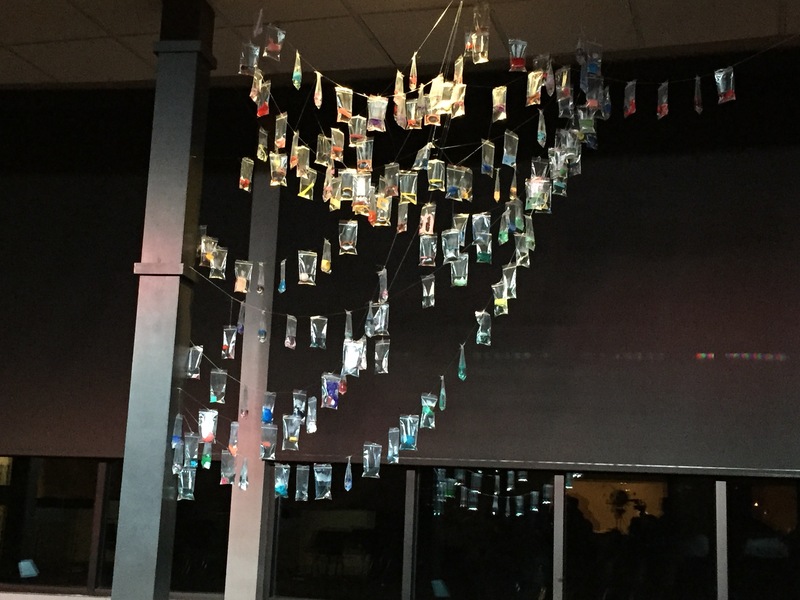 This art installation will hang from the ceiling of the PlayHouse's wrap-around porch. 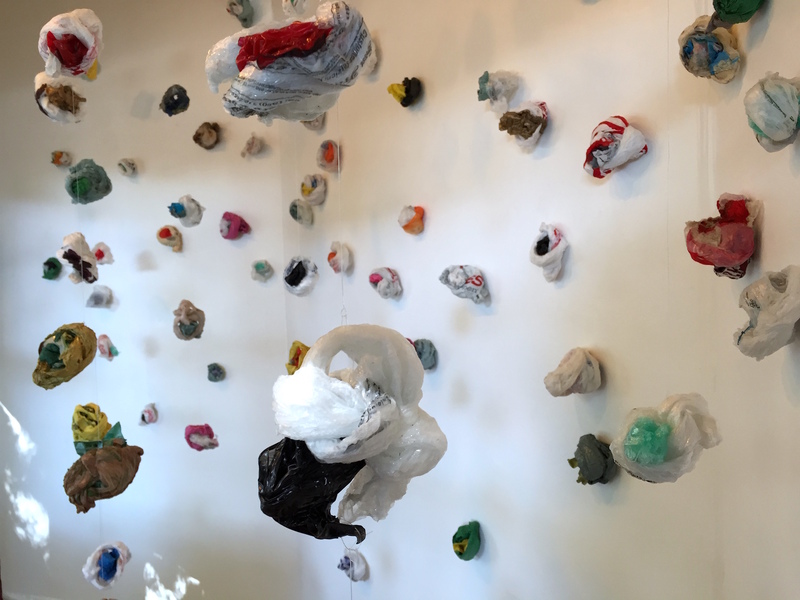 It will be made primarily of plastic bags. Once it is completed, the wind will gently move the suspended, lightweight piece, which will have the appearance of a flying carpet or canopy. Other work by Reenie will be installed throughout the PlayHouse. During the 2-week installation process, children, families, and groups will be invited to make pieces and contribute to the work of art. 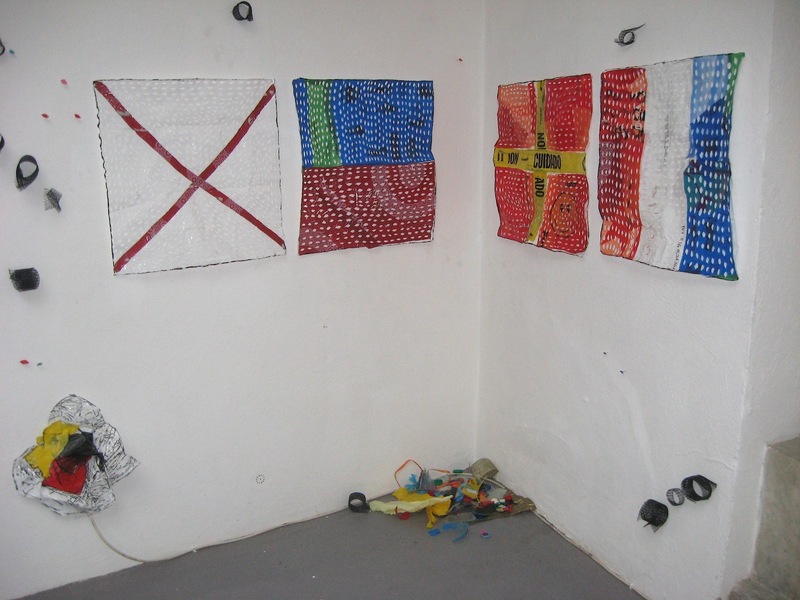 They will also be invited to use similar materials and techniques to make their own sculptures and wearable art. We welcome groups of up to 10 people, children and adults, to sign up for a two-hour shift, helping Reenie complete this piece! A concurrent exhibit of Reenie's work will also be on view at the Peoria Art Guild downtown. This exhibit has been made possible by a grant from The Arts Mean Business Fund and the Community Impact Fund of the Community Foundation of Central Illinois. It is also supported by Martin One Source. Reenie has an MFA in Studio Arts from the Maine College of Art. 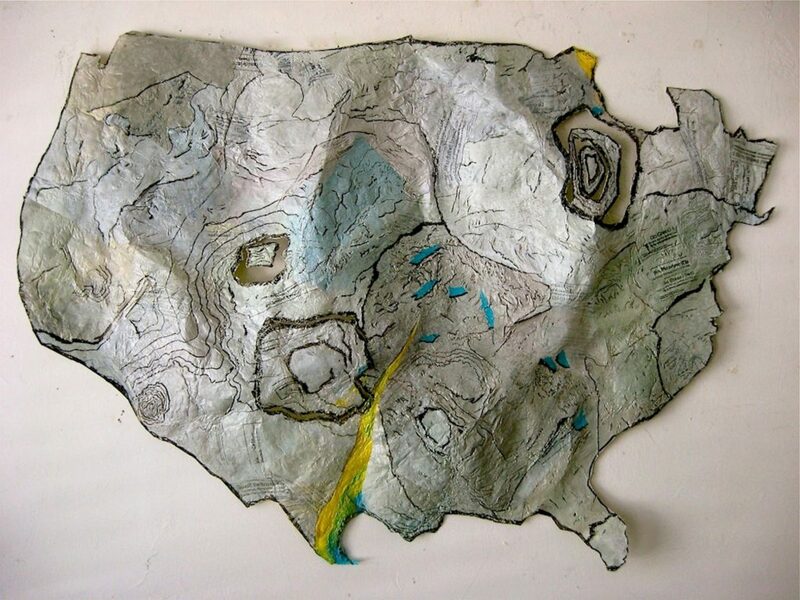 She lives in Oakland, California, where she is the Visual Arts Specialist at the Nueva School. She has held residencies in Spain, Iceland, Thailand, and France, as well as around the United States. Locally, she exhibited with the Peoria Art Guild and Project 1612 in 2016. "My work is motivated by the drama of landscapes and waterways, urban and rural. 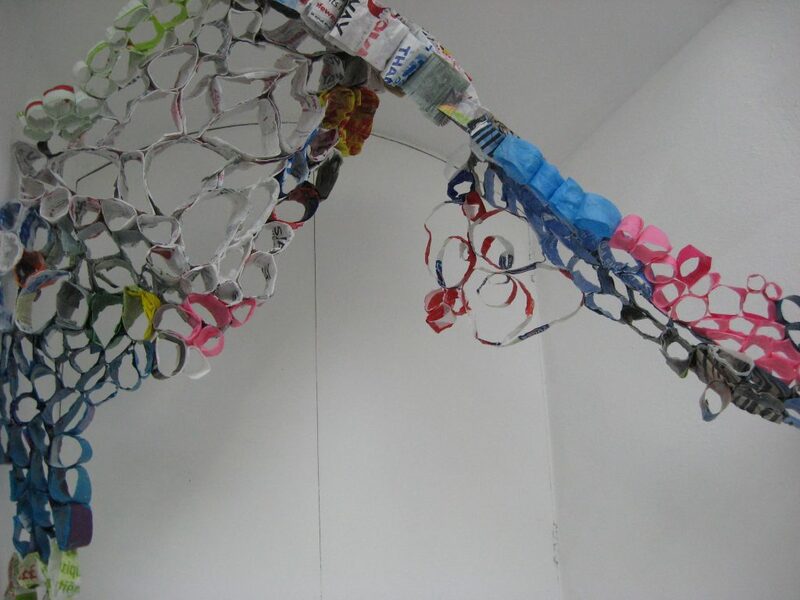 I experiment by collecting and transforming everyday materials, especially throwaways."